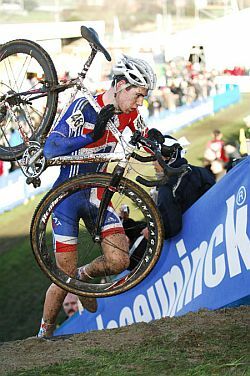 In the best British result in a Junior world cyclocross championships for a long, long time, the North West’s Jonny McEvoy (Kinesis UK) placed a fantastic 13th in today’s race in Hooglede Gits. My initial start wasn’t good; I went round the outside on the first corner and gained some places. That put me in the front 25, then I held my position round the first technical section, where all the mud was. I couldn’t see, it just came at you like a wave. An Italian went off the front, but by the first drop off I was in second spot. 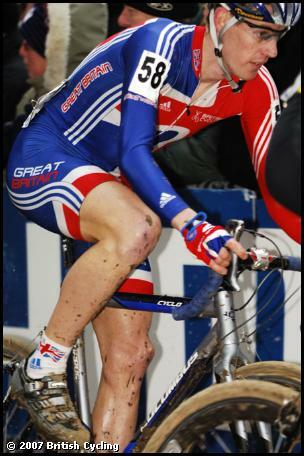 However I lost a few places and was down in 9th the 2nd lap. After a few sections on the road where I didn’t have a wheel to follow, that took a lot of effort and took a lot out of me.? I was satisfied with how the race went overall, I felt I had a real go, and played a part. Click here to read more about the junior event. I knew it were gonna be hard on first couple of laps being at the back, as whoever crashes is just going to be right by you. After 2 laps I got into my own rhythm and just kept going, passing and passing and passing! I did as best as I could, I enjoyed it, it were brilliant. ?